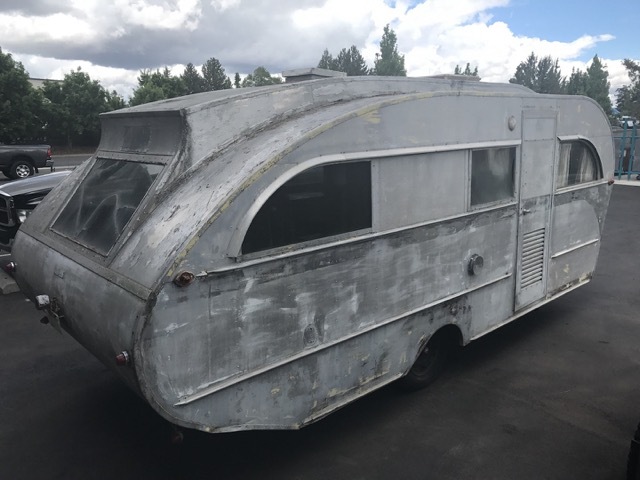 Manufactured from 1945 thru 1949, these high quality travel trailers were an artful combination of "aircraft quality" construction and elegant art-deco styling. With their unique "prow" roof vent curving over the rear window, and gorgeous dark rosewood interior paneling trimmed in polished stainless steel, Aero Flite trailers were some of the most beautifully designed and constructed trailers produced during this era. Unfortunately, not many of these striking trailers have survived to the present day, making them highly prized by vintage trailer owners and restorers. 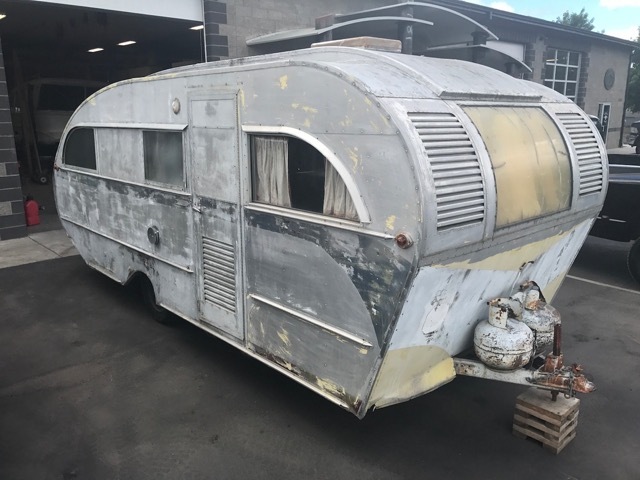 This one is available through Flyte Camp for restoration. 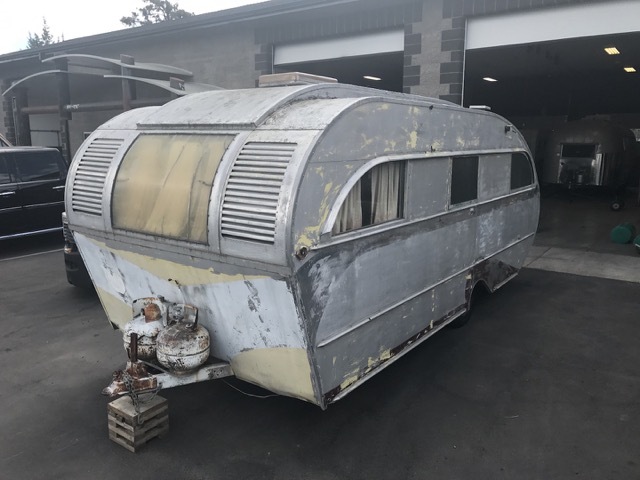 Please contact us if you would like to discuss the possiblities of restoring this unique trailer.